The Home Office has published the provisional police funding settlement, detailing how much money each police force in England and Wales will receive in 2018/19. This amounts to a year-on-year increase of up to £450m across the police system for 2018/19. This factsheet sets out not only how much funding each force can raise, but also explains more about how they can improve efficiency and productivity. 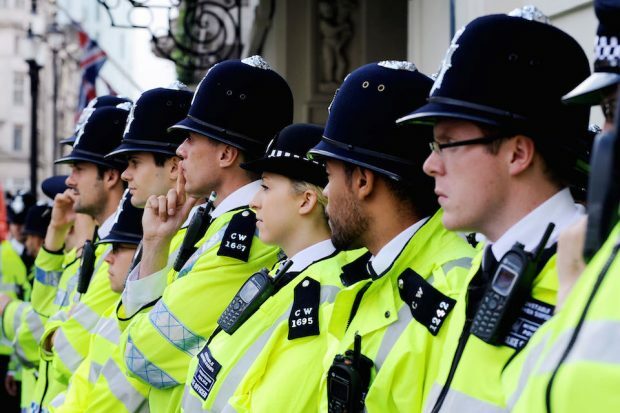 Since the summer, Minister for Policing and the Fire Service Nick Hurd has spoken to all 43 police forces to understand how demands on the police are changing. The police are seeing more complex crime being reported, including previously hidden crimes such as Child Sexual Exploitation and modern slavery, and forces must respond to the terrorist threat. Broadly speaking, most police force funding comes from direct Government funding. Around 30% of funding also comes from council tax through the policing precept – a special levy. In 2018/19 (next financial year) Government will protect the grant it pays to forces in cash terms and is empowering locally elected Police and Crime Commissioners to raise council tax contributions by up to a £1 per month per household. This means police force budgets can increase their funding by up to £270 million in order to help forces meet the demands of their area. A full list of estimated funding for police forces in England and Wales for 2018/19 is at the end of this document. These assume that Police & Crime Commissioners use their flexibility to increase precept by £1 a month for a typical household. Funding for counter terrorism policing is ring-fenced for this national priority. The budget for 2017/18 was £707 million. In 2018/19, the budget will increase by £50 million to £757 million to help deal with the fast-changing and increasingly challenging threat from terrorism. This is new money that was not part of the Spending Review 2015 settlement. In 2015, the Chancellor announced that cross-government spending on counter-terrorism would be increased by 30%. This increased CT spending from £11.7 billion over five years to £15.1 billion over the same period. At a national level, funding is provided for national programmes and priorities. This funding is known as reallocations. In 2018/19, an extra £130 million will be provided for these. The increase in funding will largely be spent on police technology and special grants forces need to meet exceptional costs incurred. This year, Special Grant funding includes £9.8 million for Greater Manchester Police after the Manchester Arena attack. Next year, Special Grant funding will include the costs of policing the Commonwealth Summit in London. A crucial reallocation is for the Police Transformation Fund. Next year (2018/19), police forces will also be able to benefit from the £175 million Police Transformation Fund. Since its inception in 2016, the Police Transformation Fund has invested £220 million over four years in policing. This matters because it is extra funding to policing to improve services to the public in the future. Led by the police themselves, the fund enables policing to invest money in reform, transformation and digitisation projects to benefit the whole policing system. £20 million over three years to invest in undercover online capability to tackle Child Sexual Abuse. Work in the first six months has already led to 181 arrests, preventing serious crimes against children whilst still putting the full capability in place. The Home Office believes the police system can improve efficiency and increase productivity, making better use of the money they have. This is a view shared by the independent inspectorate, Her Majesty’s Inspectorate of Constabulary and the Fire Service, who has said forces can be more ambitious in this area. Buying items in a smarter way across the police, saving money on everything from cars to uniforms. The Home Office, working with the police, has identified around £100 million of potential savings policing could make in this way. Improving productivity, for example, getting more done in the same amount of time. Mobile working is an area where the police could make significant gains, with officers spending extra time on the frontline. In areas which are already taking advantage of mobile working, officers are using phones and tablets (mobile working devices) to access the information they need and make their reports, rather than having to spend their time going to and from police stations. If all forces delivered improvements to mobile working to the same degree as the best forces, this has the potential to free up the equivalent of 11,000 extra officers nationally to improve services. Police forces keep money in reserve to cover unexpected costs as well as to invest, e.g. in better technology. In March 2017, police forces held usable reserves of over £1.6 billion, compared to £1.4 billion in 2011. At the moment, the amount of money held in reserve varies considerably, from around 6% of Northumbria’s annual funding to 42% in Gwent. The Home Office wants to increase transparency around police reserves and will publish comparable national data on reserves as well as introducing new guidance in a bid to make it easier for the public to access high quality, comparable information. The Police Funding Formula divides up how much money each police force receives from the overall central government funds. It takes into account a number of factors to assess demand in each area. Earlier this year, the Home Office and police partners engaged on potential changes to the police funding formula. However, in the context of changing demand, the Minister for Policing and the Fire Service Nick Hurd has said that providing funding certainty over the next two years to enable the police to plan in an efficient way is his priority. Therefore, proposed changes to the funding formula will be revisited at the next Spending Review. * Total direct resource funding consists of core grant funding, NICC grants, Legacy Council Tax Grants, Precept Grant and police precept. These figures reflect actual precept outcomes in 2017/18 and assume that PCCs in England increase their precept in line with the referendum principles in 2018/19, PCCs in Wales increase their precept by £12, and Office of Budget Responsibility forecast tax base increases. ** Usable resource reserves as recorded in March 2017 audited statements of account as a percentage of 2017/18 direct resource funding. Greater Manchester reserves are as at 7 May 2017. *** Greater Manchester did not receive an Efficiency rating in 2017. The rating they received in 2016 was Good.